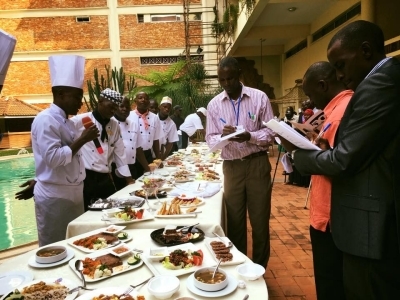 To increase interest in millet and sorghum, ACET for Africa and the Pardee Initiative held a Superfoods Cookery Contest at the Golf Course Hotel in Kampala, Uganda, on December 11. Over UGX 5,000,000 in prizes were awarded in 4 categories: professional chefs, foodies, and professional and student innovators. The nine professional chefs participated in a superfoods cook-off similar to the TV show America's Top Chef. They were allowed to choose their ingredients and then told to prepare a starter, main course, and dessert. 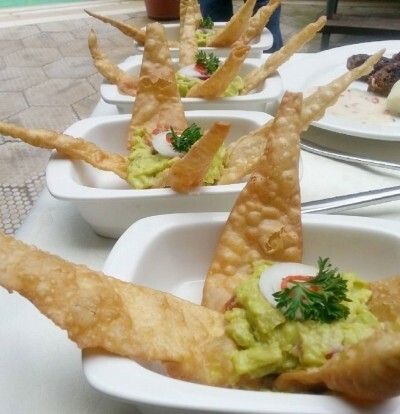 The 27 creative recipes they prepared included guacamole with crispy sorghum and millet tortilla chips, chicken Orlando served with sorghum panadols, and crepes Suzette with a garden sorghum salad. We are excited to share these recipes and will post them soon. 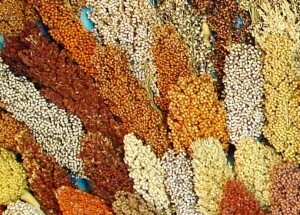 Additionally, semi-professional chefs, foodies, and innovators developed unique sorghum and millet recipes. Harry Kubwemi won first place in the semi-professional category for his millet sorghum samosas and millet sandwich, and student innovators Maureen Bamukisa and Samuel Kiprotich won for their millet and sorghum fermented breakfast cereal. 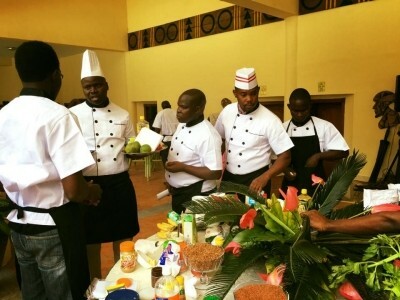 Professional chef Robert Byansi won first prize in his category for a sorghum & millet salad; sorghum, millet & chicken soup; zanza fish accompanied by kalo (millet bread), and a millet victoria sponge cake. Second place in the professional category went to Titus Timothy, who prepared an avocado salad with millet sticks and 1000-island dressing, chicken Orlando served with sorghum panadols, and "millet mallows." Timothy Wandulu won third place for his clear vegetable and sorghum soup, steamed sorghum rice with chicken curry, millet burger with fries, crepe Suzette, and garden sorghum salad. Ivan Suna offered a recipe for muffin cake & chocolate millet fudge with a creme tart, which won a special dish prize. Youth foodie Nantege Regina won a prize for her sorghum-vegetable "roly poly."